This is the first update for this portrait of a baby girl. To begin I worked a very light sketch, I am hoping it is still legible over the web. Due to the media being a very dark pencil with white highlights I wanted to sketch lightly as not to pose problems later as I start to shade the lightest areas of the drawing. Hope to get even more done this weekend. 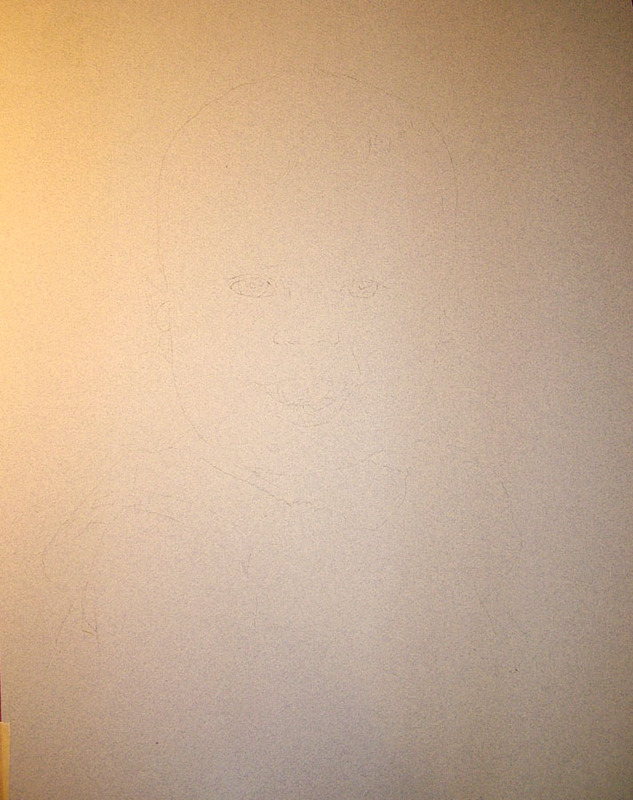 Can barely see a faint outline of the head and maybe an eye; can’t wait till the next stage!